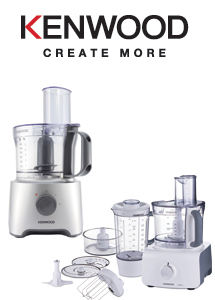 The New MultiPro Compact from Kenwood is here. The MultiPro Covers all your preparation needs. Featuring 2 speeds, pulse, 1.2L blender, slicing / grating discs and a stainless steel knife blade. Available in 2 colours, Silver (FDP301SI) and White (FDP301WH) both machines have a 800w motor.